The blog, unlike millions of others uttering just one negative word about Islam or anything that might remotely endanger any Muslim, remains undeleted on establishment’s social media, moreover it is going viral. And you keep wondering why. After reading the blog it gets much clearer why the unusual popularity of this entry: because of its heated narrative reducing Europe’s self-defence – as it is done ad nauseam – as “far-right violence”. Nothing new of course, to the contrary. 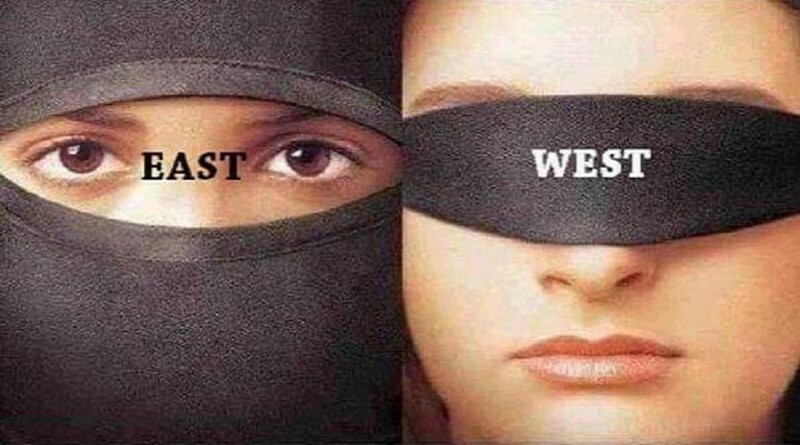 Every time anything is done in defence of the invaded/occupied West, it is immediately labelled “far-right” by the establishment, then such derogatory term is taken over by the anti-globalist and anti-Islam resistance groups. Compared to the past when the expansion of Islamic empires was achieved mostly by violent jihad performed by large armies of Muslims rushing in to non-Muslim areas, at present the Islamic invasion of the West relies on mostly tactical deceit and subtle forms of jihad, such as demographic expansion and cultural, educational, political and media-infiltration. In other words, the present Islamic invasion of the West has been made possible ONLY by the underlying ideological-conceptual war that misrepresents this invasion as “globalisation”, “multiculturalism”, “diversity” etc. Because of the ideological war brainwashing the Western peoples on an astonishing mass-scale, it has been our number-one task to resist the false victim-blaming narratives, to factually identify the scenario as it is: INVASION, and to define our role and tasks accordingly. Yet almost no one pays attention to this. Instead, what we can witness is mass-apathy towards the far-right labels with an associated alarming spread of voices glorifying far-right and praising Hitler as “our last resort”. 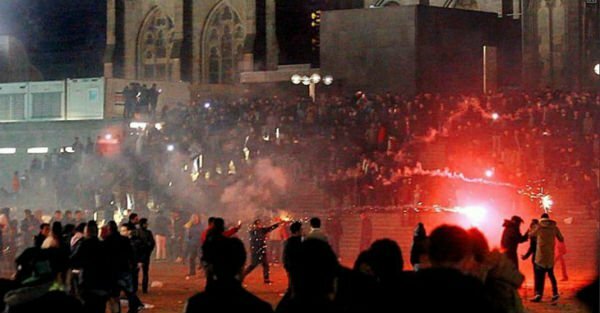 For this very reason it is and has been my number-one concern that at the moment when the normal everyday citizens of Europe – and of the whole of West – will rise up en masse to resist the globalist/Islamic invasion, the actual far-right and their Antifa counterpart – both of whom are actually financed, armed and organised by the globalist establishment – will hijack the Western masses’ justified self-defence, and these armed Nazi groups of bogus resistance will fight the civil war and surrender on behalf of the Western masses, thus bringing a new victory and glory to the Islamofascist globalist establishment. That is, the present far right would achieve what Hitler’s organised defeat achieved after WW2. This likely scenario is what we, the Western masses and actual stakeholders of Europe’s future must prevent, or if we can’t prevent it, at least we should be aware of it and continue the fight accordingly. “Why does it always say extreme right wingers? It is everyone now who is sick of the Islam migration crisis. Normal everyday people. Right wingers may have a part in it but it isn’t about that. Europe is in danger of being eradicated by these people. We need to take our countries back. Keep our women and children safe. Global Political Analysis, Research & Commentary Multidisciplinary research and analysis revealing the big picture of the global status quo versus the mainstream myths. Number one issue of our times is to stop Islam and ban Sharia Law all over the West. Islam is NOT a religion of peace, but a satanic, fascist ideology using mass-deceit to conquer and convert the Western world and to erase Christianity. Searching the way out of the oppression of the global financial cartel that is behind the Islamisation of the world, before the system ends up in a full-blown version of global Sharia-fascism.